It’s been 29˚C in the shade today. I’ve been awake since 4am for the second day in a row, and at work in the day-job since 7:30am. I’m a flustered, strung-out sticky mess, dying of hayfever, trying to hold it together and keep myself cool and hydrated with a constant flow of Scrumpy Jack. It’s not working. But I am: instead of kicking back or chilling out, I’m desperately trying to chisel out words in my cramped home office space where it’s so humid I can barely breathe. 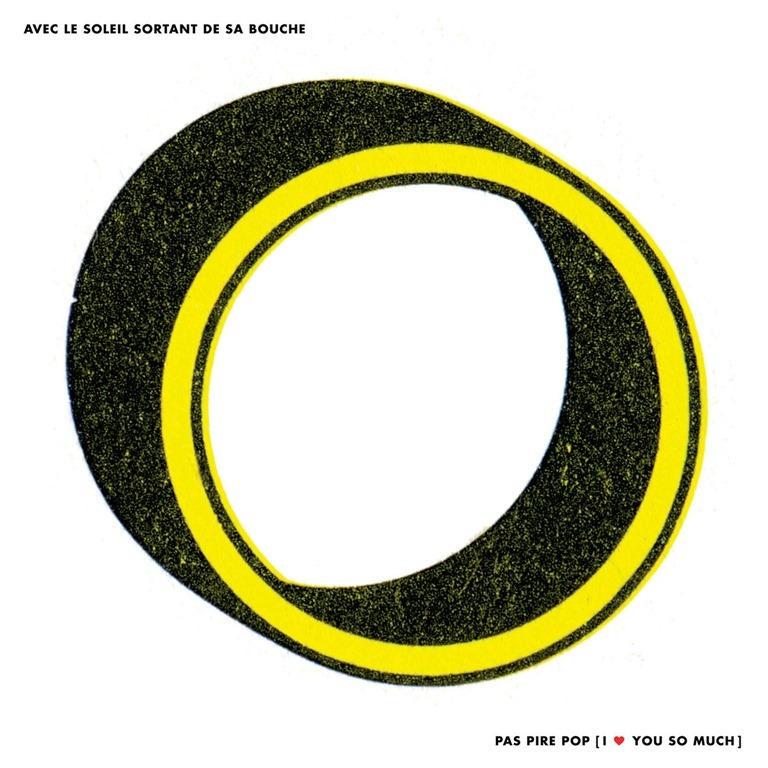 And instead of taking the easy option of one of the million mellifluous ambient works in my never-ending to-review pile, or taking a soft hit with some straight ahead metal or whatever, I’m battling with this dizzyingly diverse effort by Avec le soleil sortant de sa bouche. Sold as a kraut-rock ensemble, Montreal collective Avec le soleil sortant de sa bouche (which translates, I believe as ‘with the sun coming out of his mouth’) pack myriad influences into their second album. Although containing ten tracks, it’s ostensibly an album built around three primary movements. Psychedelic rock, krautrock, desert rock, punk rock, noise rock, afrobeat, experimental pop, post-rock, electronic; all are touchstones for Avec le soleil sortant de sa bouche. The opening minutes of the second movement ‘Alizé et Margaret D. Midi moins le quart. Sur la plage, un palmier ensanglanté’ (of which there are three parts) marries a martial beat to some skittering world music vibe and tops it with a desperate, yodelling vocal holler that’s far wide of carrying a corresponding melody, or even a tune. Over the course of the piece as a whole, the band push into new territories by unconventional roads. This is essentially the key to the pleasure to be found in Pas pire pop. Avec le soleil sortant de sa bouche are clearly a band who please themselves first and foremost, and enjoy themselves in doing so. And yet they largely swerve indulgence by virtue of their sense of movement: the tracks build and bed, trip and transition: the explosive crescendo at the end of the aforementioned first part of ‘Alizé et Margaret D’ is killer, and immediately loops back to the opening proggy motif on the second part. It’s like skipping back in time, like a glitch in the time continuum. It’s a minor detail in many ways, but it’s also a minor work of genius. The final movement – in a colossal five parts – begins with a sweeping orchestral cascade which gushes every whichway over a thumping dance groove. It’s merely the beginning of a crazy journey through jazzy math-rock and noodlesome post-rock via some hefty noise and some Talking Heads-y post-punk oddness that works its way to a nifty finale by route of a tightly-woven funk groove meted to some clattering drums while whizzing electronic details fly like comes into the distance. I’m oozing perspiration from every pore, especially the backs of my various joints: the knees, the elbows, the groin, and I find myself contemplating the complex musical conjunctions within the framework of the shifting tubular geometry of my limbs in context of the insane, overwhelming heat and its effect on my capacity for focused, linear thought, as if existing in some stylized Ballardian landscape of the mind.